Diamond Creek is a great place to checkout songbirds, both along the road and on the trails. There is a trail that starts at the end of the road and winds its way down the bluff to the beach. 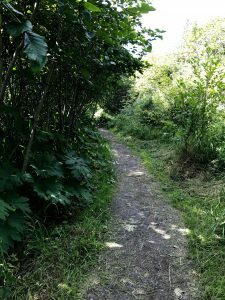 Another trail, developed for mountain bikes, follows much of the road. 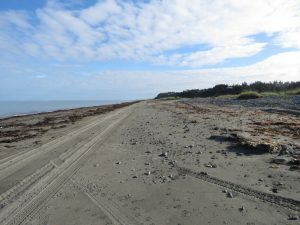 On the beach check Cook Inlet for pelagic birds and shorebirds. 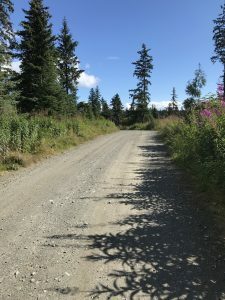 Take the gravel road, located just west of the turnoff to Diamond Ridge Road. There is a parking area approximately 0.2 miles down the road, located on the left. Park here if you wish to walk the road, although there are other parking areas farther along the road. 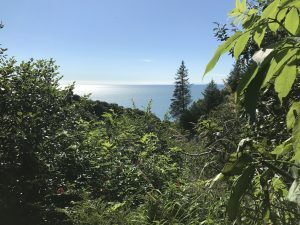 At the end of the road (approximately 0.8 miles) is parking and the trailhead for the Diamond Creek trail winding down the bluff to the beach. Please use caution when walking this trail. 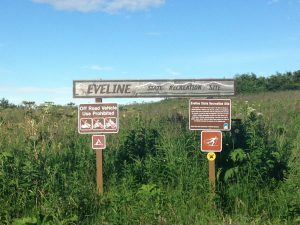 Eagle Lake is great birding for songbirds. Mew Gulls and a Pacific Loon pair nests at the lake. Several shorebird species also nest here: Yellowleg and Wilson’s Snipe. The Jaeger Bog hosts a nesting pair of dark morph Parasitic Jaegers. Both locations are great for songbirds. Merlins and Northern Harrier can occasionally be spotted here. 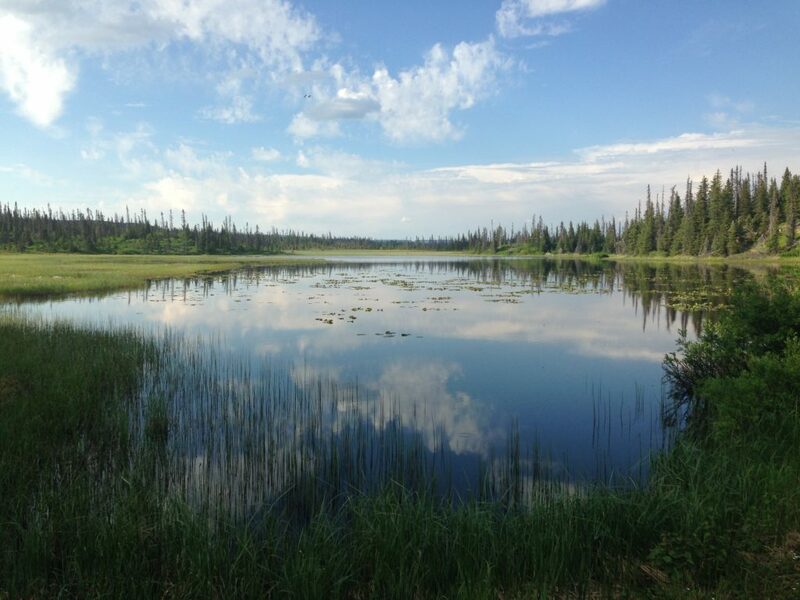 Eagle Lake: Drive approximately 18-19 miles out East End Road. Turn left on Basargin Road (aka Circle Lake Road), drive approximately 2.7 miles to the Y in the road. Go right. Drive another (approximate) 1.1miles. There will be a pull off on the side of the road. Park here. Walk down (northeast) the road about 100 feet or so. There will be a small trail on the left hand side of the road. 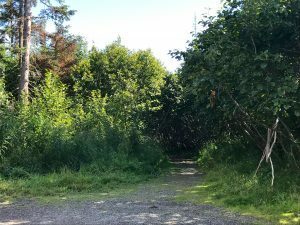 This trail leads to the lake. The lake is less than ¼ mile off the road. 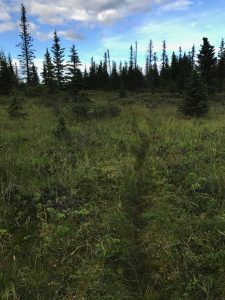 Boots are necessary as this trail as it can be very wet and muddy. 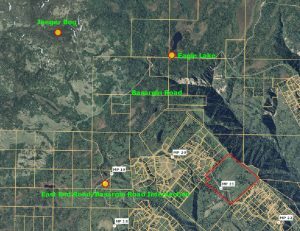 Jaeger Bog: Drive approximately 18-19 miles out East End Road. Turn left on Basargin Road (aka Circle Lake Road), drive approximately 2.7 miles to the Y in the road. Go left. Drive 0.5 miles. There may be a closed gate. If so, park off the road and walk approximately 0.5 miles. There will be a large bog on the left hand side of the road. If the gate is open drive up the hill and down to a small pull-out at the bottom of the hill and on the right hand side of the road. Scope the bog on the left for Dark Morph Parasitic Jaegers that nest here annually. A variety of songbirds can be found here as well. Be aware. This is bear and moose country. 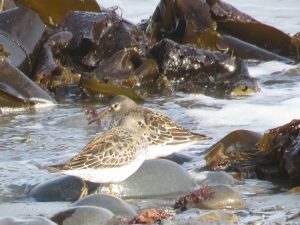 The Anchor Point Beach is a good beach for migrating (spring and outbound) shorebirds. Spring migration begins in late April and peak mid May (spring migration). Outbound migration begins late June and you can find shorebirds into September, and occasionally October. 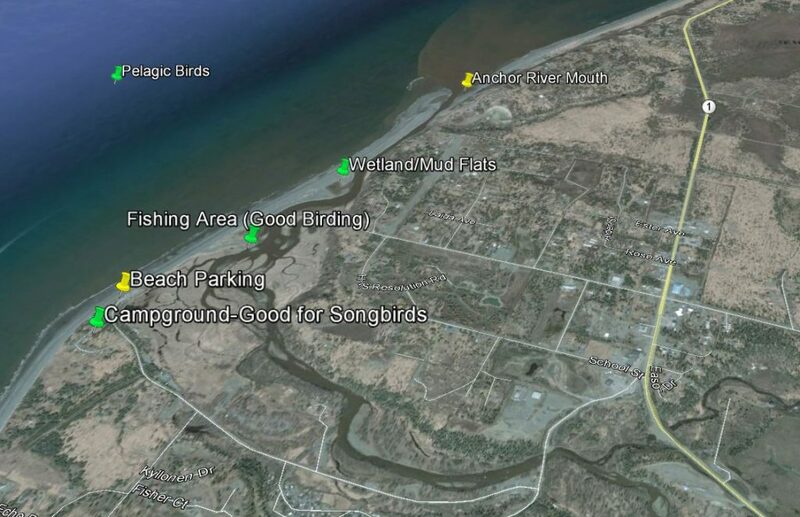 The best place to see shorebirds is generally within 500 feet of the parking lot or at the mouth of the river, approximately 1.3 miles from the parking lot. 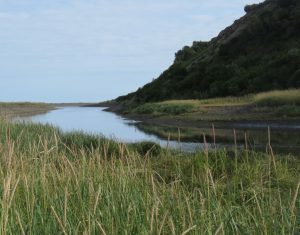 Shorebirds can also be observed along the Anchor River. There is a road that parallels the river. 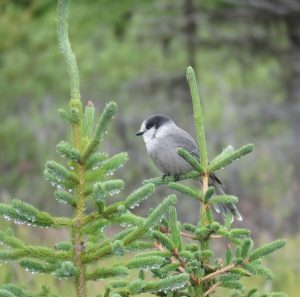 In the day-use parking lot and campground, a variety of songbirds can be observed during the spring and summer. Seabirds can be observed on or flying over Cook Inlet. Outbound migration (July-September) can bring an abundance of seabirds, including Sooty Shearwaters, Tufted and Horned Puffins, and Murrelets (Marbled and Kittletz). 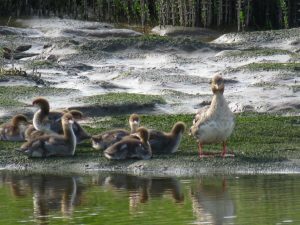 Be sure to also check out the wetlands next to the parking lot in the spring and fall for waterfowl and shorebirds. Be aware of the tides. Tides in Alaska can be extreme at times. It is always best to visit the beach during an outgoing tide. Shorebirds are best observed when the tide is between 12-14 feet. 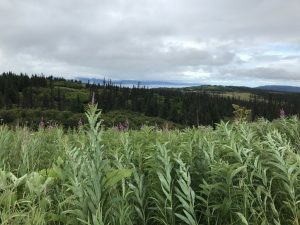 From Homer take the Sterling Highway to Anchor Point. 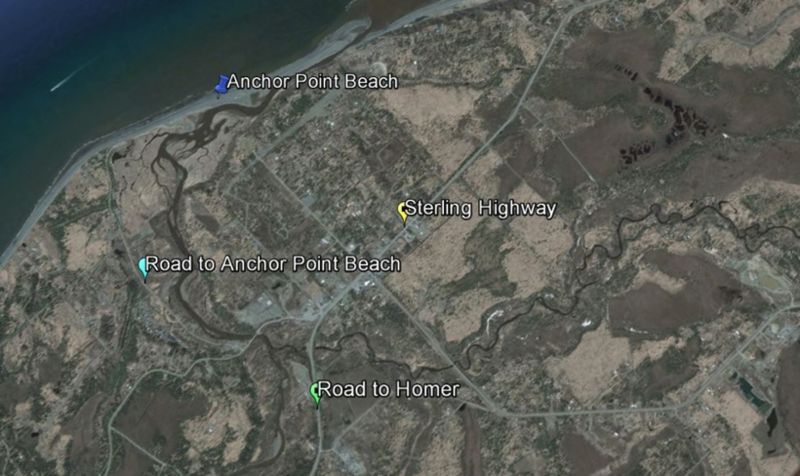 Turn left on to the Old Sterling Highway (left), drive over the bridge, and take the first right (Anchor Point Road). Drive this road to the end and park in the parking lot. A $5.00 parking fee is charged. 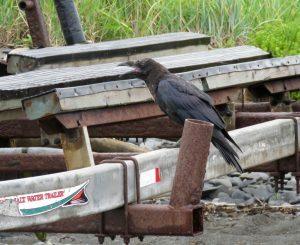 Over 170 species have been observed at the parking long, along the Anchor River, over Cook Inlet, or along the beach at Anchor Point throughout the year. This is a small, 80-acre state recreation site location out East End Road near McNeil Canyon. 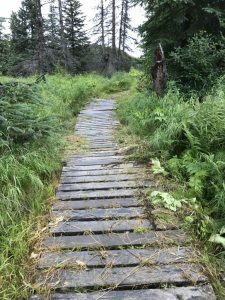 The park offers several different summer trails (and winter ski/snowshoe trails, as well), with no trail longer than 1.25 miles. During the summer there are a variety of wildflowers in the meadows and along the trails. Not to be missed. 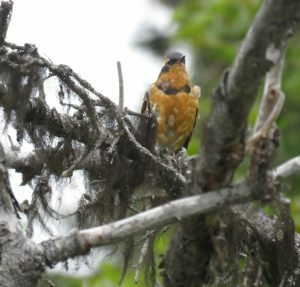 More than 45 bird species have been spotted in the park. In the spring and summer, the best time to bird is during the morning hours. 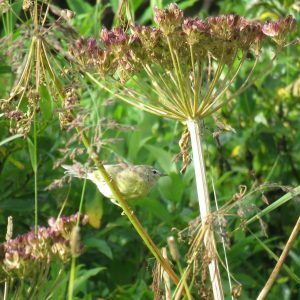 Key breeding species include: Golden-crowned Sparrow, Fox Sparrow, Savannah Sparrow, Alder Flycatcher, and Orange-crowned Warbler. Remember this is bear and moose country. Be Aware. From East End Road in Homer drive approximately 13.5 miles to Alpine Meadows Road. 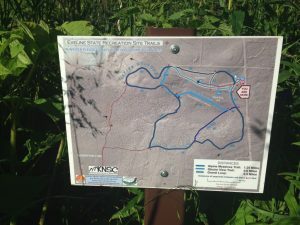 There will be a state park sign just before the road. Turn left onto Alpine Meadows and drive approximately ½ mile to the park. There is a small parking lot on the left-hand side of the road.